John F. Kennedy (1917-1963) 35th president of u.s.
bet you didn't realize may 15th is international conscientious objectors' day. i didn't until i glanced at the calendar this morning (wondering what calendar would list such an occasion, wonder no more - it is the 2012 syracuse cultural workers calendar, the syracuse cultural worker calendars have been a staple at casa mouse since the mid 1980s). today's quote by jfk is spot on! along with being international conscientious objectors' day, it is also tattoo tuesday. i met the woman with today's extraordinary tattoos the other day while wandering about the neighborhood - although i didn't think i would forget her name, i have - one would think with my record of forgetting names, i would start writing them down! 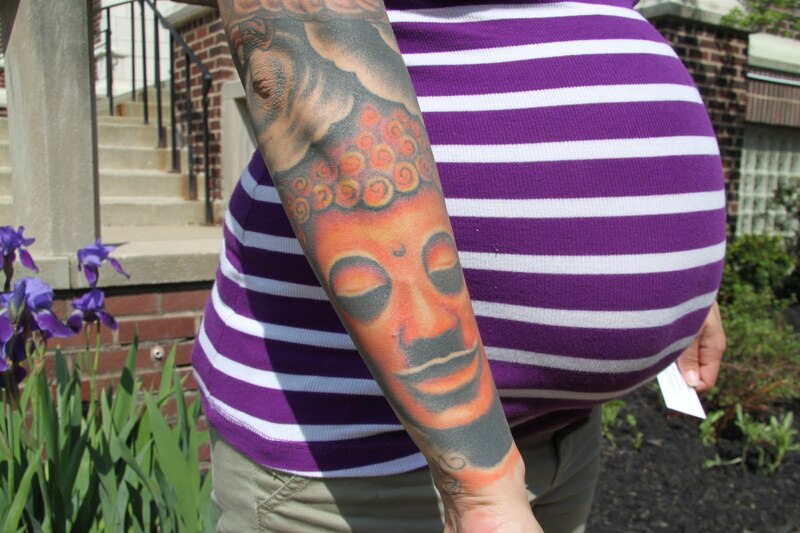 i was so focused on the ink and discussing the various buddhist images of her sleeve tattoo, i forgot to ask her due date - but given the size and presentation of her belly, i predict she's definitely having a may baby! peaceful passage little one! too much to hide from the album nuclear daydream (2006) by joseph arthur. Love those Buddhist tattoos! 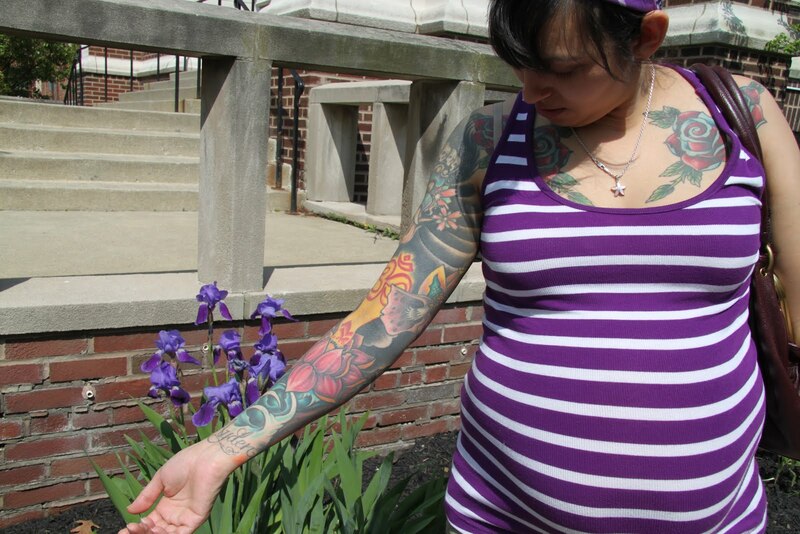 Looks like she has a lotus flower on her inner arm...and yeah, I'd say she's ready to give birth pretty much any day!